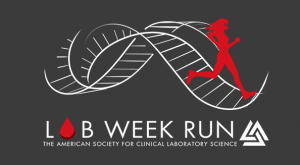 The American Society for Clinical Laboratory Science’s (ASCLS) Annual Lab Week Virtual Run will continue in 2019 reaching thousands of Medical Laboratory Scientists, Medical Laboratory Educators, and Medical Laboratory Students all over the United States and around the globe. 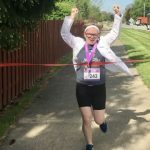 We anticipate reaching over 2000 Medical Laboratory Scientists for our 2019 Lab Week Virtual Run.What do I receive for sponsoring the 2019 Lab Week Run? 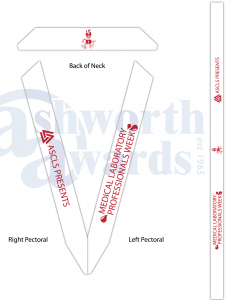 2019 Lab Week Run T ShirtPlatinum Sponsors (10) will have their Company Logo on all Lab Week Run 2019 Sponsorship Material including the back of the Lab Week Run 2019 T Shirt [Must Sign Up by December 1, 2018 to be included in the T Shirt back], Website, Social Media, and Promotional Brochure. 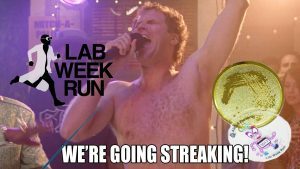 Who participates in the Lab Week Run Virtual 5K? 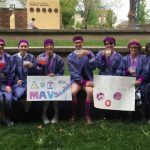 Our past participants have predominately been women (86%) who are Medical Laboratory Scientists (58%), Medical Laboratory Educators (12%), or Medical Laboratory Scientist Students (20%). Our past runners have come from all 50 states in the United States including Alaska and Hawaii, international participants, and overseas laboratory participants from United States Military Bases all over the world including Spain and Japan. Do you have an example of past sponsorship use in emails/media? 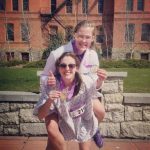 Why Support Lab Week Run? Each year generous sponsorships from industry leaders make this event possible. Funds raised through this event support the ASCLS Developing and Ascending Professionals Forums in the form of scholarships that enables these professionals to attend the ASCLS Annual Meeting and the Legislative Symposium. The national meeting features continuing education that encompass all departments of the laboratory as well as governance opportunities. The legislative symposium provides opportunities for learning about the issues impacting our profession and provides an avenue for laboratory professionals to meet with their congressmen. How does a ‘Virtual Run’ work? 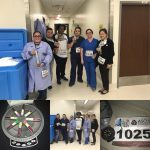 A virtual race unlike a traditional race can be run at any time during Medical Laboratory Professionals Week (April 22 through April 28 2018) and can be run anywhere. Participants can walk, use a treadmill, run outside, or even run in another race concurrently. Participants can perform this race at any speed they like. Lab Week Run has had participants run, walk, push baby strollers, walk their dog, hike, and even kayak to complete the 5K distance or 3.1 miles. Virtual Races can be completed all together or over time whenever and however is most convenient for the participant! Why is the Medical Laboratory Professional week run being held as a virtual race? Still have questions? Email us at admin@labweekrun.com and we will answer any questions you may have.